Thanks to the World Cup finally getting underway we've all got DH Race-itis! Dunno that ailment yet? It's when you watch Ft Bill and VDS racing and it drives you to ride your bike super fast. Well sit back, enjoy the three course gravity meal shot 100% on a Contour Camera. Mt. Hood Ski Bowl has been hosting DH races for over 20+ year and this June 21-23rd we return to hammer down the epic track, the course for Pro's and Cat1 is legendary with epic views from the 'start' and its a steep, fast ride with rocks/roots everywhere- very technical. Longtime racer Brad Delzer takes us down the course and pins it - he also chases his 6 year old son Brayden down ther Cat 3 course. Yours truly handles the Cat 2 track and lastly we gotta give props to Will at the Lumberyard for providing the Contour Camera to get this done! Camping is allowed in the parking lot for a small fee of $5 per night. 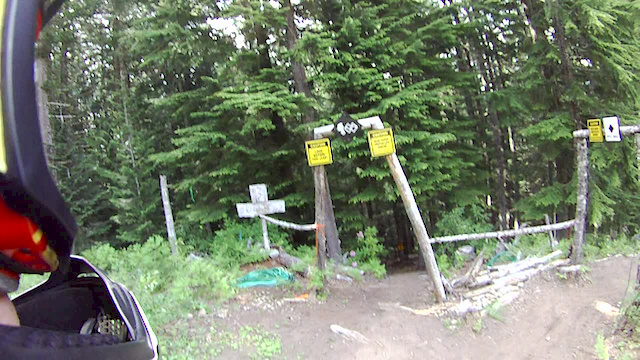 Here is a quick trip down the Bike Park's two advanced trails. 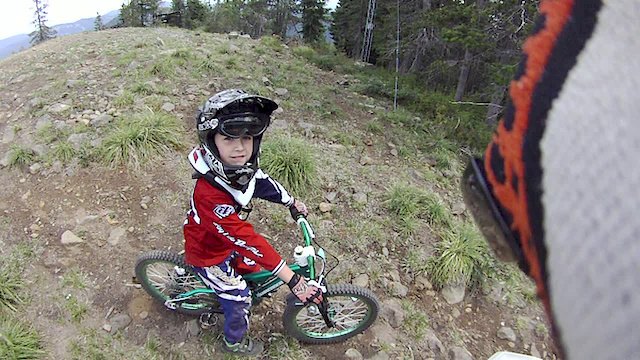 Season Bike Park passes are only $149 this year. We at the NW Cup truly appreciate the generous support from our amazing sponsors! Please consider them when deciding your next purchase. 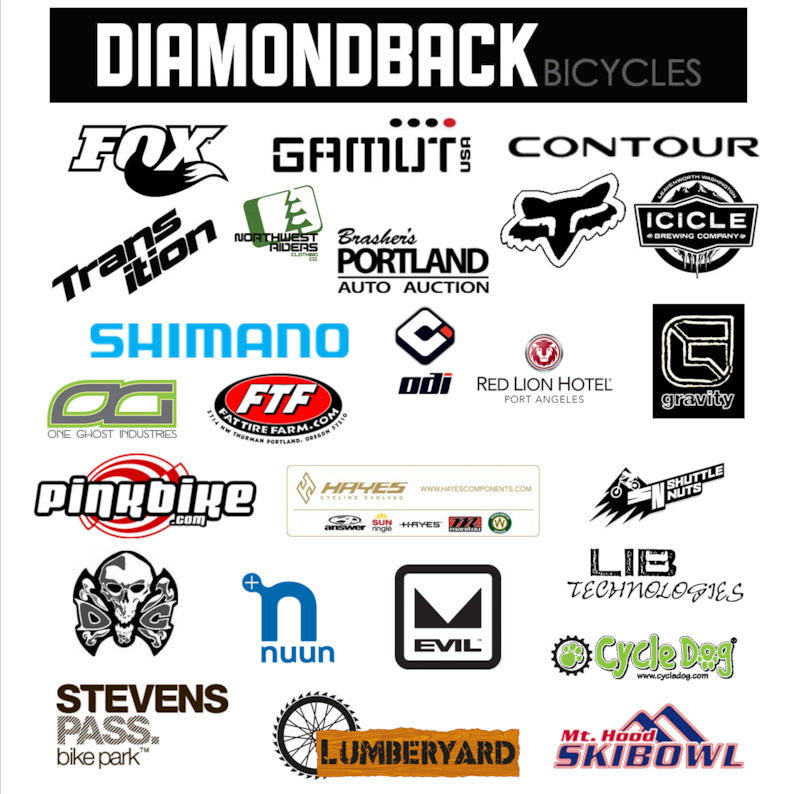 These brands support the 2013 NW Cup! Thank you. what the hell? most of cat 2 course is just a road! A car could drive down most of that! It's very old school - wide open, using a lot of gravel access road and then to wide open trail - Stuff I rode in the early days. Fun, but not as tech as what there is today. still...you can't even really consider it a trail...it's just riding down a road with a couple of switchbacks...you'd think that if they've been hosting races for over 20 years they'd maybe make an actual trail and not just a dirt road. Its a correlation to the winter.. They just dont get the money that other places do, and therefore lack the resources to build and maintain a solid trail... In the winter Timberline, and that other awful place around the other side of the mountain are the main resorts for the winter. 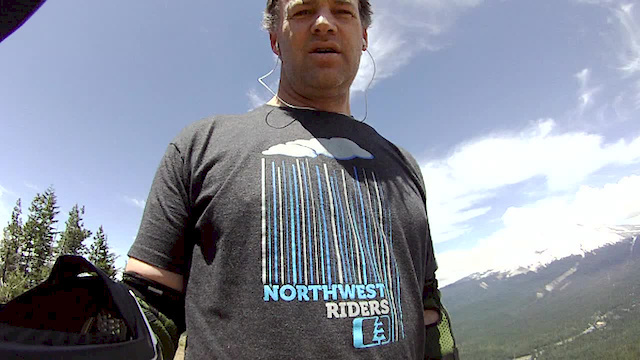 For the bike park, there are many many volunteer, hike or shuttle to the top trails that take the business in the area. The freeride parts are new this summer, so they are trying..
Just for clarification, the lower part of the Cat 2 course that was shown was the EASY OPTION. He listed that there was the option and if you took it, it merged quickly with the PRO COURSE in the middle of the woods (4:08 on pro course preview). There is about 20 seconds of trail through the steep lower trees not shown by either race preview that more closely resembles the pro course. Really not sure as to why Mike chose to show the easy option in a course preview, but it is what it is I guess. Wow people talking about a place they have never even raced, oh yeah you probably don't race. Who are you clowns, wait nobody would know anyhow so good job. Cant speak on tracks I haven't raced or the cat 2 track for that matter, but I've been racing pretty much every Cat1/Pro race course in the northwest for the past 6 years plus Mammoth, Big Bear, Deer Valley, Mt. 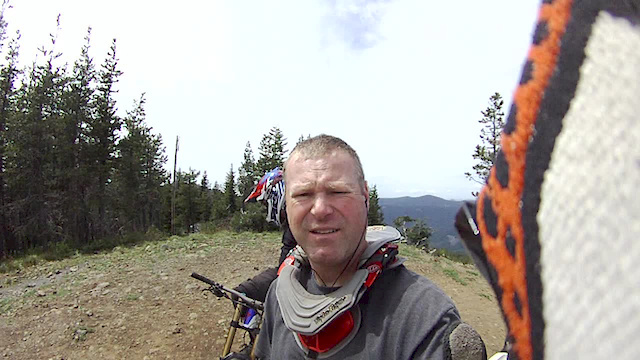 Snow Vermont, Vail, Crankworx and such, and I can tell you regardless of what you think you see that the Mt. Hood Cat1/Pro course is demanding and and legit for sure! Oh yeah, catchphrase guy saying "enduro" why don't you know what you're talking about before you say stuff with your fingers online? 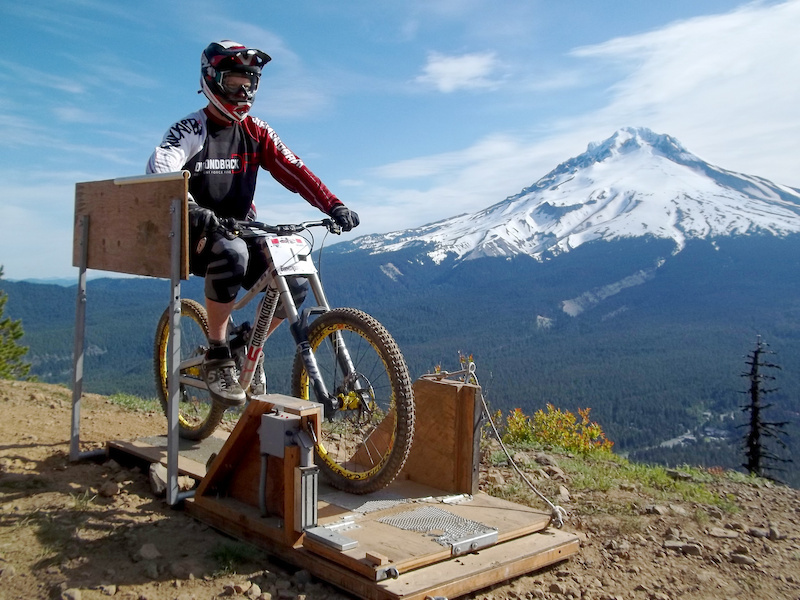 There are legit DH courses all over the country no doubt and Mt. Hood is one of them! If you guys don't think the Cat 2 course is technical enough then come destroy the competition and get a category upgrade so you can race the tougher courses and get spanked! I'm not saying any of this because I think I'm sweet racer guy because I'm not at all, I get smoked in my class sometimes for sure! Just seems like a lot of people wanna talk about stuff online and wear the T-shirts and have sweet stickers on your vehicle but aren't out here racing. Mountains in US can be good. But if you ever rode the Italian/Swiss alps, like I have you will then understand the magnitude! By the same token, I rode Mt. Hood a couple of years ago, and won't go there again. The reward wasn't worth the pounding I took on a very limited number of trails.. Granted there are new trails that didn't exist when I rode there, so it may be more enjoyable now. 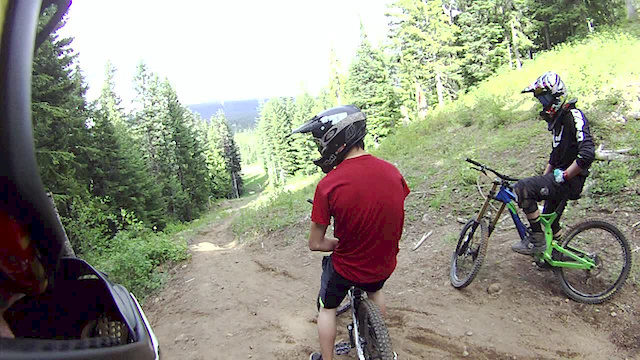 For my enjoyment, I'll definitely stop well short of Hood and ride Sandy Ridge again. That coupled with the fun of Portland with its phenomenal public transportation and excellent food and vibe, leads me to state that I'll be making the drive down again. Haha thank you for the nice words! Have you ridden with him? It's awesome because he will narrate your run behind you! All time! Like a DH Morgan Freeman? That is so good! Estes! You must watch this! OMG!! Mike we need to ride together. Having you narrate one of my runs behind me, that I would pay money to do!!! So.........call me? Obviously, the above comments are from people who have no experience on this track. Maybe the video doesn't do it justice. If Gwin had been training here he would have been better prepared for the World Cup. Seriously. I'd be surprised if any of you internet haters even have what it takes to make it down that pro track! Comparing that to a WC trail? Umm... the trail looked really sick with some pretty tech spots but this doesn't appear to hold any weight against Fort Bill. I understand your temptation to defend awesome trails but man that was an absurd statement, haha. What I find absurd is people who haven't raced Ski Bowl talking smack about the track. It's long, fast, physically & mentally demanding, and most folks are terrified of it. At least that's an informed opinion I can respect. Don't bother trying to further ruffle my feathers on the matter. I'll be too busy preparing for this race to care. The comments are just for the Cat 2 track - not the Pro track. Gwin wouldn't be able to train here in the winter or spring due to snow anyway. Everyone is talking trash on the Cat 2 course but we rode it over and over again last summer and it's super fun and saw plenty of people eating it on big bikes. If it looks so easy go race it and murder the competition! Wish they would've showed the log drop though. Just got to the Best Western at Govt. Camp and am stoked to ride tomorrow. Drove down from Gig Harbor. Agreed that Cat 2 looks tame compared to Dry Hill but I'm still looking forward to it. The cut-off line should make it a bit more challenging. Can we ride the bike park runs after our practice session with the passes we have? This is my first time here. having ridden both of these trails many times, I will tell you that the speeds possible on those runs along with how rocky they are make them super gnarly. if you nailed a rock going as fast as delzer was, you'd be done. I worked the nationals years ago and this track is faaaast-many of the DH guys thought they could just breeze through the stuff, but the speed sections really throw you into the rocky sections. I saw some of the worst crashes from the pros-one guy even ended up in the back of a Subaru that was stationed at the top of the slalom course (it was off the dh trail by around 70 feet). This place is a fun place to watch. Its sooo funny to read this comments from riders that have never been to the area the pro/course at Ski Bowl its gnarly and scary. I will take any of you kids on this trail and see how fast you either get a mechanical or get of line into the boulders the size of a small car, stop talking S#@t and come out and race your bike. Looks sooo fun! Tilt those cameras up people..
hey cement usually cat 3s go down fire hydrant , but peter felt that knar knar war more safe due to the conditions. the rest of the races at ski bowl this year will be fire hydrant which is more steep with rockgardens. sorry your bummed. That trail #2 looks pretty sweet. that guy in the first vid was flying! and grip shift dh?!?!?! That was me I have really really bad thumbs to many dislocations and torn lig. over the years. At least its xo ha ha. You gotta work with you have... That's all there is on Mt. Hood and nothing else can be built. Definitely agree that something is waaaaay better than nothing. The inclusiveness and accessibility of developed bike park trails is what will keep people coming to the sport for a long time. Just wish there were a few more opportunities for some gnarlier euro-style dh and enduro courses that would put American riders on a bit more of a level playing field when they travel overseas.